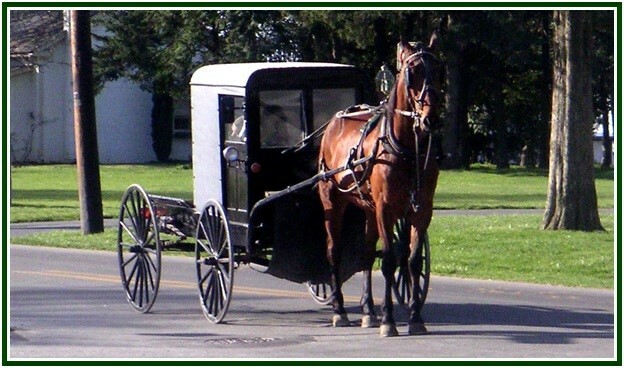 During the 18th and 19th centuries, the Amish and other Mennonite groups – Anabaptists – found places to live in peace, mainly in the United States. Although they make no proselytism, or perhaps because of this, their communities flourished. They now can educate their children in accordance with their traditional philosophy of love for Life. Every citizen of good will can see lessons in and learn from the different aspects of life. He knows he shares the essence of every tradition whose goal is the practical search of universal truth. In any time or place, the student of esoteric philosophy lives according to the principle of non-violence, as much as he can, and is a companion to all who – like the Amish – place the search for wisdom above personal comfort.